Level-agnostic Dungeons for level 20-89 coming this fall (before the expac) with proprotional loot available for all participants. Now, time spent leveling up or grouping up with lower level characters won’t be perceived as “wasted” as you’ll be a better character at 95-100 for having played these lower level zones. Also in an update this fall, a Rare Heroic Loot merchant like we’ve seen in previous years. This allows those who have been incredibly unlucky on the RNG to buy desired rare heroic drops. Altar of Malice will take place in the Shabby Sea, a small body of water between Antonica and Faydwer. 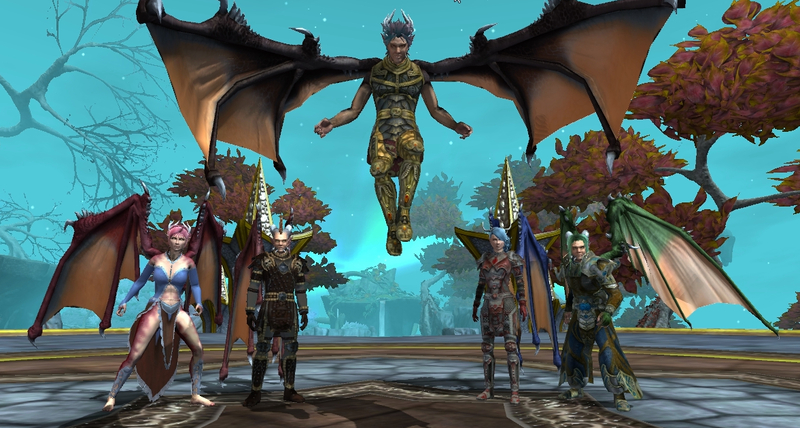 Altar of Malice brings with it A new playable race, the Aerakyn, may be purchased for StationCash. They offer some extra aesthetic customization (custom horns, wings, scale pattern color) and their wings actually develop over time so when you hit level 85 and achieve flight, its on your own homegrown wings. 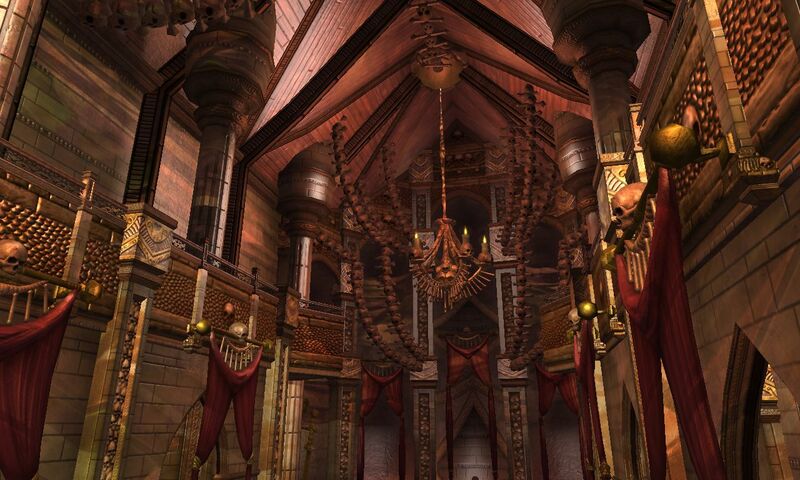 Guild level goes to 100, with more amenities and upgraded “elite” guild halls. New Rabbit leaper mount with good and evil versions. Collection items (shinies) will now be sellable for Status. It sounds like the Status merchant is going to get loaded up with stuff as a way for players to spend status. All character spells and combat arts can be upgraded to Grandmaster. Some will upgrade to Ancient quality. We’re going to the home of the Far Seas Trading Company — Castle Highhold — and will find out why we’ve been blocked from going there for so long. This Fall, All Access members will get the ability to retrieve mail attachments and access the broker from anywhere in the world. 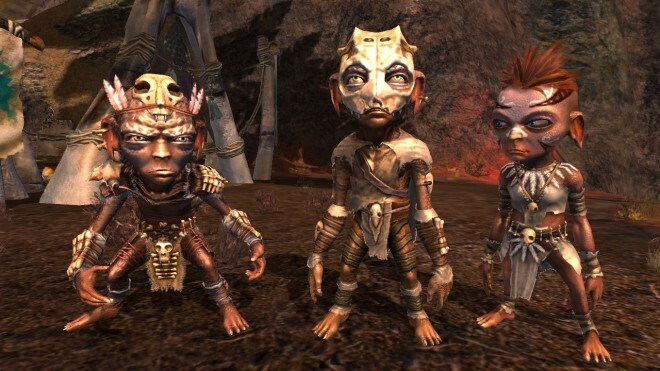 EQ2 will celebrate its 10th anniversary with a special heroes festival set to begin in November, with 11-year veterans getting a special Isle of Refuge prestige home, complete with a starter population pack. Hory Shet! NEW PUBLIC QUESTS coming early 2015. I am totally pumped about this one! Fabled level 100 versions of Echoes of Faydwer dungeons will be released throughout 2015. Deity System revamp. Will include new level appropriate blessings and miracles. Also the ability to worship more than 1 diety. These screenshots really do not do justice to the few sneak peaks I saw on Monday when I visited SOE! Let the other sites publish, I still come here to find out what the real deal is with anything EQ2 related. Me too. Only place I have trusted for the EQ franchise for the last 6 or so years. When I used to play EQ2 daily, this was my browser homepage. I am actually here now looking at any details for EQN, thats how much I trust you Feldon. This is an EQ2 page lol. Anyone else can publish what they like, but you have the respect of the community and until you publish, it is just a trailer or a press release in my view. Oooh, Cross-Server-Dungeon finder! Please, Feldon, ask them to make it also (optionally) cross-language so in Europe the German players can play with the French and British…not much point in it being cross-server over here otherwise. Dexella gave you a shout out for the Eq2Wire App!!! <3 Dexella!! It is a shame those of us that spent money to come out here and support SOE get the latest updates on the web that we could have gotten from home. Feldon thank you for the updates. There is a reason myself and many others come to you first and check out Eq2wire countless times a day. Oh wow! This stuff looks great! 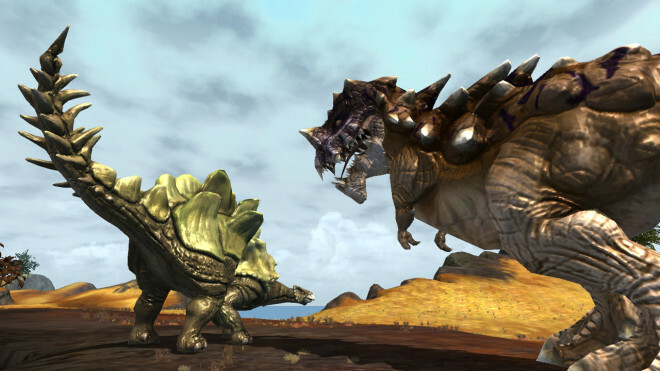 I haven’t been this excited for an expansion in a long time, good job EQ2 team! Grandmasters will drop throughout the world from level 1-100. The poor isle of refuge. And is it just me or are those revamped Grimlings from luclin? If they are wouldn’t that put that chunk of Luclin as the section right off Katta Castellum? Unless this section was taken from elsewhere on Luclin, maybe a part of the Grimling Forestm that’s a bit farther away than Katta would have been. Bah, I really wanted to actually go to the moon. But bringing parts of the moon to us is almost as good. Even though I miss Shar Vahl. My hubby giving me strange looks too for the exact same reason, GriffonLady! I want to be a Pigmy necro that raises a mob of Pigmy skellies to kill the bad guys. What fun! Wait, wouldn’t the Isle home technically be the 11-year veteran reward? Yes, it’s the 11 year vet reward. EQ2 turns 10 in Nov 2014, but because of a few past expansions that added +90 days (there were 4 of them marketed that way) vet rewards are 360 days ahead (nearly a full year) of actual possible played time. Yep. To be honest, it would be nice for them to retcon all of that “expansion = longer vet times” thing and just roll the 10th + “11th” year’s rewards into one. It’s confusing to people who weren’t around back then and/or people looking in from outside. This is coming from someone who has been here since day 1 so the reward for me personally is not the issue; I just think it was a silly idea and what better time to fix it than on the 10th anniversary? Finally Kithicor! Besides Luclin, this was the single other thing I wanted to see. Looking forward to seeing more. I sure hope I dont have to upgrade my computer to run the new stuff but other than that..Wohoo!! Great coverage as always Fel – you do the EQ2 community proud! Looking like a great expansion. The zone art looks phenomenal. Isle of Refuge yay! Kithicor Forest yay! Lots of great new content, features and niceties coming. Plus a revamped PQ system on the way, as well as cross-server dungeon finder – was beginning to wonder if it would ever happen. Great great news. Looks like they’re pulling a rabbit out of the hat for this expansion and the upcoming months. I’m really hyped but really skeptical. Is Highhold going to be the SAME Highhold we got in ToV? I rather not play through a fourth version of the zone. Is the devastated Isle Of Refuge going to have an artistic overhaul (please say yes)? That said, the art in general for EQ2 has definitely become better and keeps getting better with each expansion. Only wish armor and weapons got the same treatment. I see ALOT of totally useless aa’s that you Sink points in just to get something that actually help a little, but with new gear and effects on that gear it becomes more and more obsolete. so far looks like the best xpac ever.